Notwithstanding doubts about whether Chrysler Group would go forward with a promised public float, the company is late in the stages of preparing its offering documents, said a person familiar with the offer, and JPMorgan Chase (JPM) is expected to underwrite the IPO. Chrysler chief executive Sergio Marchionne said in a Financial Times interview earlier this week that IPO plans were well under way and that the prospectus could be published in the U.S. "within the third week of this month." 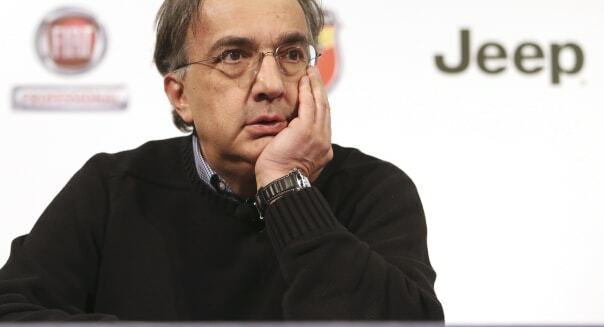 But Marchionne, who has been trying unsuccessfully to buy out a large minority shareholder in Chrysler, has made it clear that he would strongly prefer to avoid the public route. Knowing that, a number of investment bankers -- many of whom participated in a so-called "beauty contest" Chrysler held to select IPO underwriters earlier this year -- regarded his public remarks this week as a bluff. Some hadn't heard any fresh details on the company's plans since their pitch meetings, and presumed no deal was yet under way. As recently as Wednesday, the identity of the carmaker's lead underwriter had been kept under wraps and some competing bankers wondered aloud whether the new-issue prospectus had even been written. A Chrysler spokeswoman declined comment on where things stood with the IPO. Once Chrysler publishes its prospectus, known as an S-1 filing, valuation will be a central question. The mere fact that an IPO is moving forward is an indication that Marchionne -- who runs the Italian carmaker Fiat SpA, which he also helms, and Chrysler as a single company -- has been unable to agree on a price at which Fiat could purchase the 41.5 percent of Chrysler it doesn't yet own. That stake is controlled by the United Auto Workers union's voluntary employees' benefits association, or VEBA. Its representatives have argued that Chrysler is worth more than $10 billion. Fiat, however, disputes that, saying in a court document that its sister company was worth only about $4 billion. JPMorgan isn't expected to be the only bank on the Chrysler IPO, said the person familiar with the matter, but it will lead the offering, should it come together. And the new issue would be sizable. Based on even the most conservative valuation, which is Fiat's, VEBA's share of Chrysler would be worth nearly $2 billion.